KUZA Uganda is run by an inspired leadership team. Fred Barungi is KUZA's National Director in Uganda. He has served in an advisory capacity since 2005, but officially joined the KUZA leadership team in 2011. His extensive experience working with several large Kampala based organizations make him an invaluable resource to the students and the whole KUZA family. He and his wife Nicolette live in Kampala, Uganda and have a daughter named Angel. Mega Nalutaaya Kabugo is KUZA's Director for operations and has worked in that capacity since 2010 when she graduated from Makerere University with a degree in social work. In 2016, Mega completed her Masters in Organizational Leadership and management. She is currently pursuing her PhD. A true visionary and passion leader, Mega is a sought-after speaker and teacher. KUZA Uganda board is a dedicated team comprised of professionals and leaders from a wide range of backgrounds. She adds a lot of value to KUZA Uganda Board as Board Secretary. She is currently the Country Coordinator of Participatory Ecological Land Use Management (PELUM) – Uganda since July 2006.She has over 14 years’ experience in development work in the areas of education and agriculture. She previously worked with the Forum for Education NGOs in Uganda (FENU) in the moderation of the African Network Campaign on Education For All (ANCEFA) Eastern Africa sub region as Assistant Moderator. She has a Masters of Arts degree in Development Studies from Uganda Martyrs University, Nkozi and a Bachelor of Arts degree in Social Sciences from Makerere University, and has undertaken certificate trainings in financial sustainability, fundraising, human resource management, finance for non finance managers, M&E, advocacy, governance, systems and compliance, documentation, risk management, climate change adaptation, land rights and agricultural marketing among others. 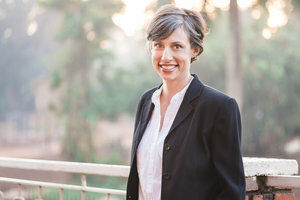 Nicolette is a Senior Lecturer Department of Paediatrics and Child Health, Makerere University College of Health Sciences. She is a PhD Fellow University of Copenhagen Denmark; she holds a Masters in Medicine in Paediatrics. She is a board member of an NGO called United Network for Early Childhood Development Uganda (UNECD). She is a member of the National Paediatric Tuberculosis Steering Committee. Her being in the field of university education is very helpful to kuza Uganda since Education is at the core of our organization. She has been supporting KUZA for Five years and is passionate about its Vision. Jackline is an accountant with Petrocity Enterprises Uganda Limited since 2004. She has wide experience in finance and audit. She is a good team member and a flexible leader with excellent communication, governance and administration skills. Prior to joining the Oil Industry Jackline worked with Kassim Lakha Abdulla and Company (Currently PKF) a reputable audit firm. Jackline is a fellow of the Association of Chartered Certified Accountants (FCCA) and a member of the Institute of the Certified Public Accountants of Uganda. She holds a Bachelor of Science in Applied Accounting degree from Oxford Brookes University. Jackline has served on the board as a Treasurer Y-Save Multi-Purpose one of the biggest saccos in the country. Sara is very passionate about education and leadership development in Africa cross-cultural work. She has been dedicated to this cause since 2006. She is also skilled in organisational development and management. As an advisory member and consultant, Sara is a great resource to the organisation owing to her vast experience, wisdom and big heart.